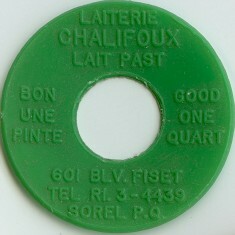 French documents only! 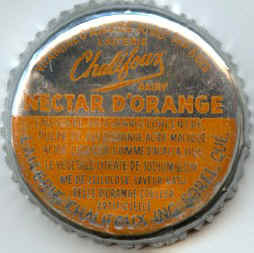 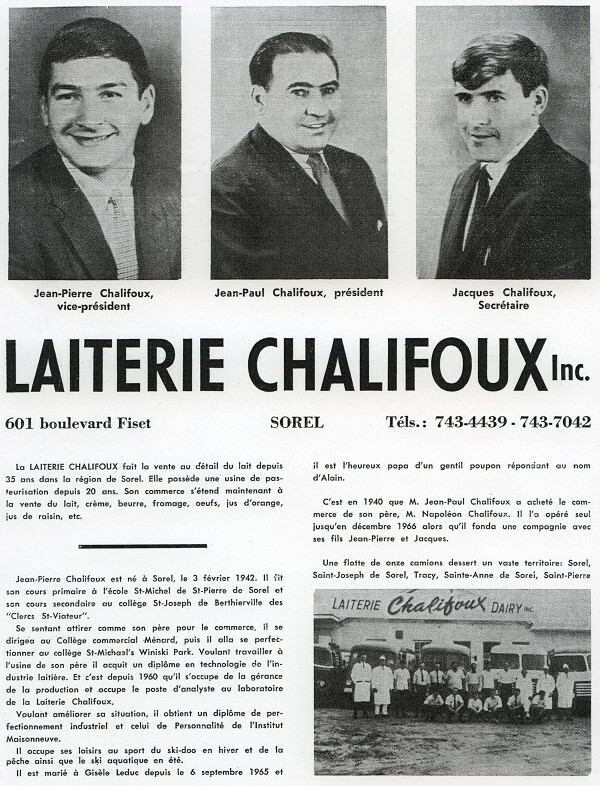 - In the text, click on "In '67, his two sons..."
In 1920, Napoleon Chalifoux, owner of a dairy farm, saw to settle in the area of Sorel a shipyard and steel-works. 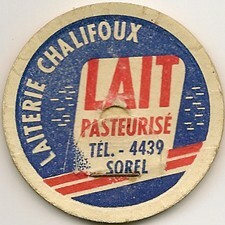 He becames their milk supplier, which he delivered by horse-drawn carriage. 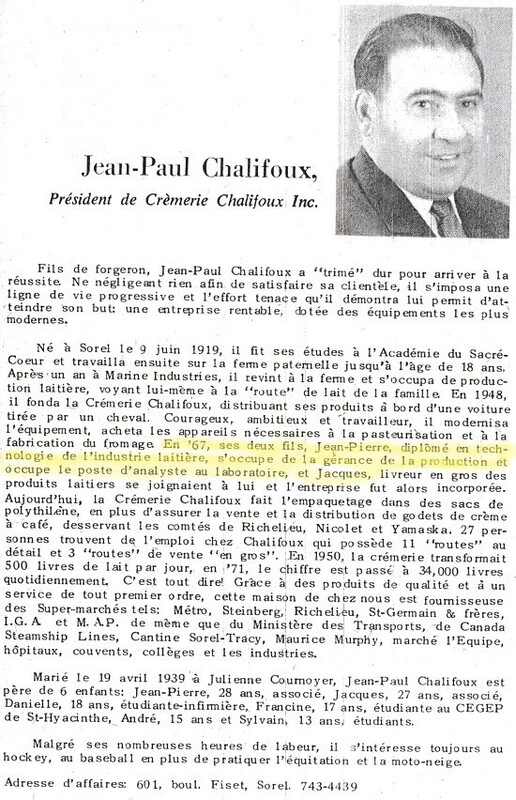 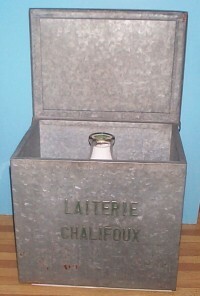 In the 40's, the actual president, Jean-Pierre Chalifoux was alone on the farm with his father, Jean-Paul (the son of Napoléon) to bottle the milk and make the deliveries by horse-drawn carriage. 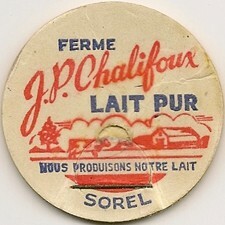 Later, Jean-Paul was called for military service, but was granted an exemption because he was a farmer's son. 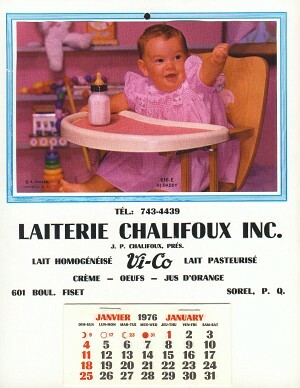 Along the years, the small business was expanded and improved. 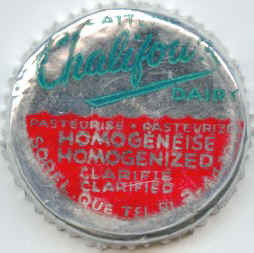 In 1945, a pasteurization permit was obtained, and the business then counted 3 delivery routes. 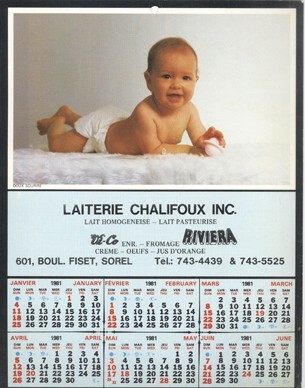 The biggest growth took place in 1976. 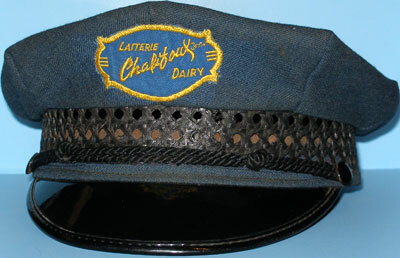 When " Coop. 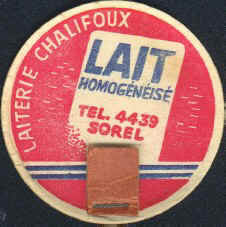 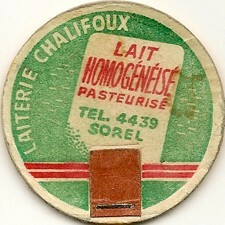 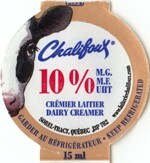 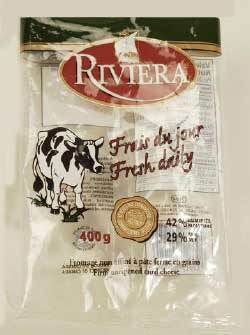 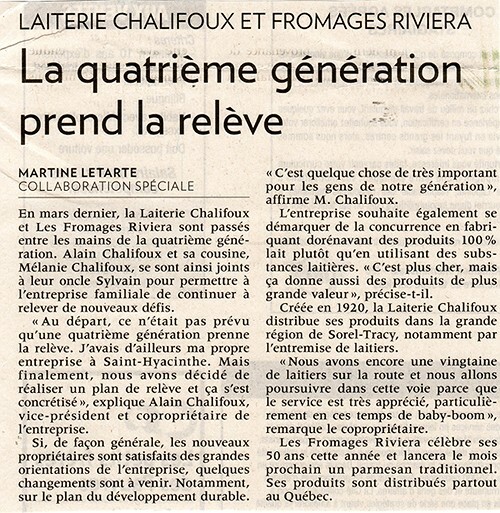 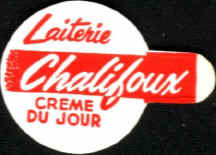 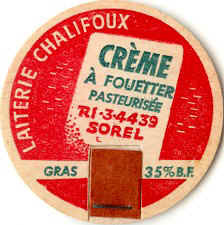 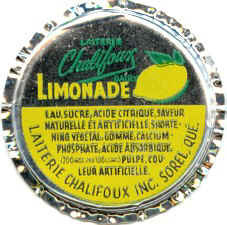 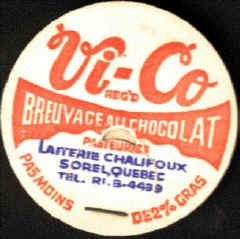 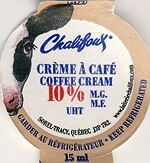 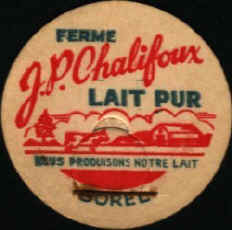 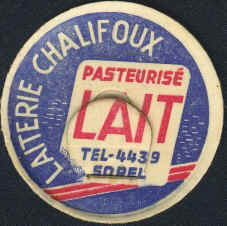 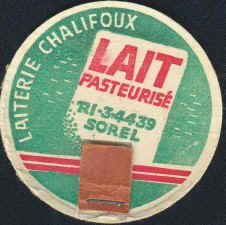 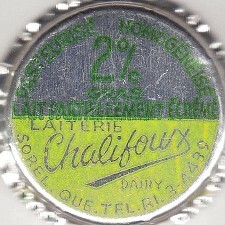 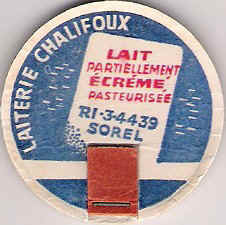 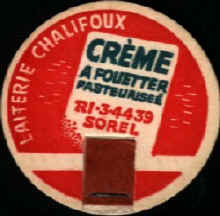 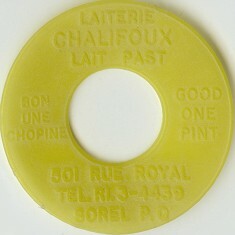 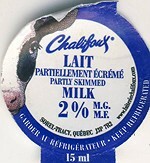 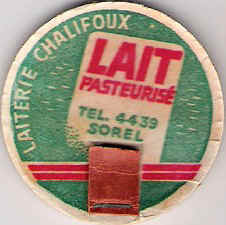 Fort-Richelieu " was acquired, it made Chalifoux Dairy the only dairy in the area. 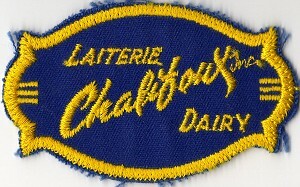 Today, the dairy has a large fleet of trucks that makes possible the delivery of a vast line of the most diversified products available on the market.